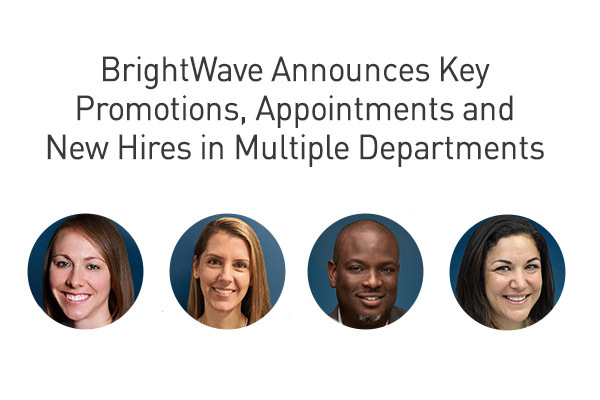 BrightWave, the leading email marketing and eCRM agency, made several significant internal promotions and strategic hires to help the company continue its industry leadership and agency growth. These leaders are sure to positively impact nearly every aspect of the agency in their new positions. Furthermore, with an expanded leadership team, the agency will be well-positioned for another high growth year in 2019. 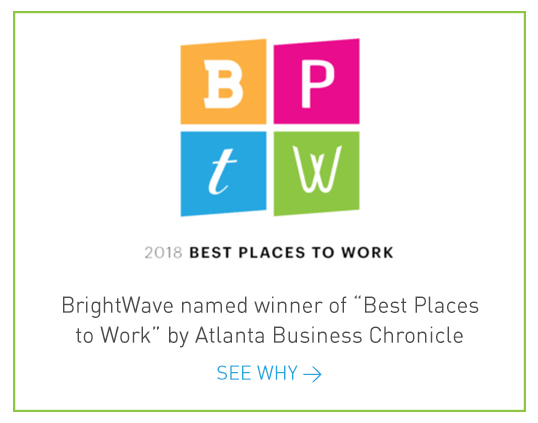 In her four years with BrightWave, Laura Middleton has made significant contributions to the Client Services team as well as the company’s operations overall. In her new role as Vice President of Operations and Delivery, she provides guidance to BrightWave’s resource management and project, technical and campaign management teams and adds perspective and rigor to BrightWave’s growth plans. Initially hired as BrightWave’s Senior Director of Platform Technology, Tunde Noibi was promoted to a Vice President. Using his robust digital marketing experience, Noibi heads up the BrightWave platform technology team which consists of data engineers, platform developers and QA experts. He harnesses impressive technical expertise and a passion for constant improvement in equal measure to inspire and drive results. One of BrightWave’s most versatile players, Michelle Walker, was appointed Director of Development & Rapid Project Delivery. With a previous title of Director of EiQ and Rapid Project Delivery, Walker makes full use of her diverse skills with her newest two-part title. Under her leadership of the Rapid Project Delivery team, the agency is able to provide agile, quick-strike service with a team of designer-programmer hybrids. As Director of Development, Michelle oversees and manages end-to-end email development and QA, including offshore resources. Kelly Jacxsens comes to BrightWave with 10 years of previous agency experience serving companies such as The Home Depot and Delta Air Lines, most recently with Digitas. She will employ her strong leadership and excellent collaboration skills while overseeing the Client Services team at BrightWave. She aims to over deliver on internal team goals as well as the goals set for BrightWave’s client partners. BrightWave’s expertise in email marketing is above that of any other agency I’ve worked with.